Sketch Saturday - Happiest Wishes on your 2nd Birthday! I've made another 2nd birthday card this week and have used a Bugaboo image, a very cute little monster! I've stamped '2' in his balloon and used robot paper in the background (My Mind's Eye 'Boy Crazy') and added some twine and some brads. Perfect! 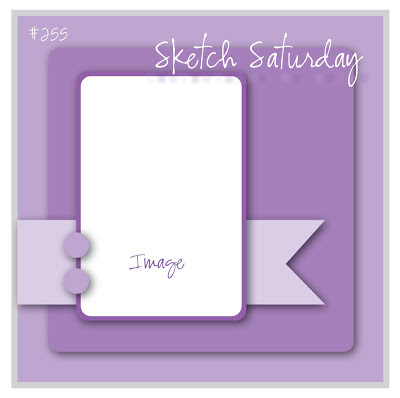 This week's Sketch Saturday sketch is sponsored by Bugaboo who have the most amazing range of fun stamps and are offering a HUGE prize to this week's winner so make sure you join in! A beautiful card Niki, love the gorgeous image. Oh what a funny monster card.. this is so cute! REally like it! I really love this monster !! !